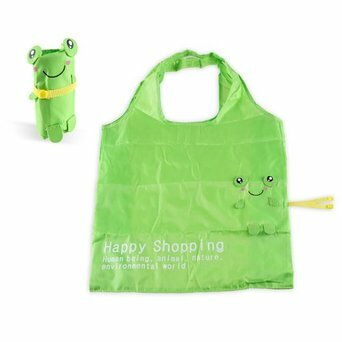 The great thing about this shopping bag is that it rolls up tight into a little frog package so that you can carry it easily along in pocket or purse. This can help keep you from forgetting (or frog-etting) to bring the bag along or leaving it in the car. With the trend towards banning grocery and other shopping bags in stores, this is a great gift for everyone. I have found that I can easily carry six of this type of grocery bag in my purse. Just think of all the trees and other resources you will be saving! 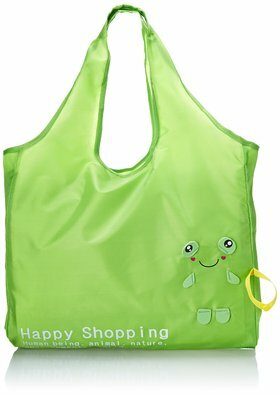 To order a Frog Reusable Shopping Bag, click here. Check out the same page for even more fun animal shopping bags.